Red Bean [Azuki] powder is traditional skin care used by Japanese women for over 1200 years. It gently exfoliates, deep cleans pores, and moisturizes. 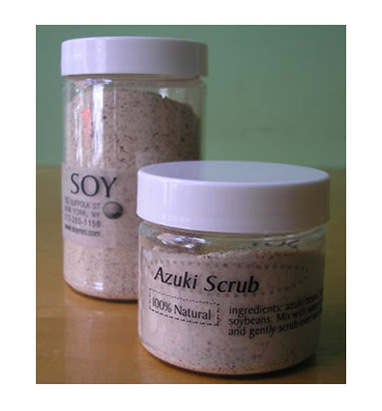 SOY Kitchen has added Nuka rice bran and Okara soy pulp to their 100% Natural Azuki Facial Scrub for extra cleansing, whitening, and moisturizing effects. 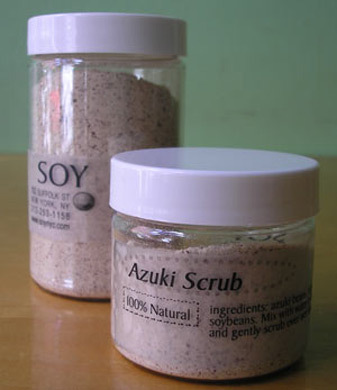 Take about 1/4 teaspoon of Azuki scrub in your palm, mix with a few drops of water to form a paste, then spread over wet face in a circular motion. Rinse off and feel amazing softness and smoothness. It is 100% natural, preservative free, and gentle enough for everyday use. The small [35g, $7.95] container should last you up to three months. I prefer to use it in the evening to gently remove my makeup, but from time to time I will use it in the morning as well after my regular cleanser if I feel my skin needs extra exfoliation. You can also use it as a quick mask. After removing your makeup apply the Azuki paste and leave on for about 5-10 minutes. 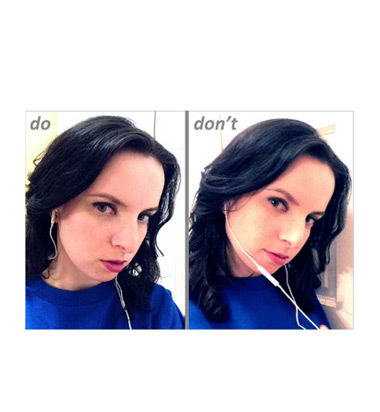 Rinse off with lukewarm water an follow with your regular toner and moisturizer. An added bonus: It’s great for air travel due to it’s powder form! Available only at SOY. Ingredients: azuki beans, rice bran, soybeans.